Using the right sanding tool can save a lot of time and effort. A sanding sponge will help remove old paint from crevices and other tiny spaces. We recommend SandBlaster sanding sponges because they are three times faster and last up to three times longer than traditional sponges. The brand’s color-coded packages help you pick the right grit for your project. Power sanders can make the job a lot easier. Random orbital and disc sanders are best for smoothing large areas. Both are good options, but when working with soft surfaces, random orbital sanders produce fewer visible waves. If you can afford just one sander, an orbital sander is recommended because it has more overall uses. These machines randomly move the sanding pad over the surface as it spins, eliminating the swirls left by conventional disc sanders. Pad changes are quick and easy. 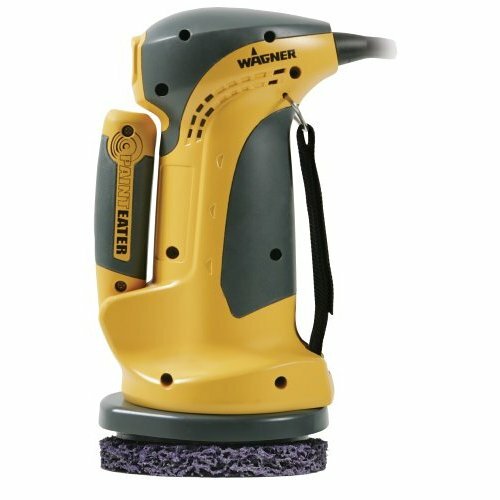 An orbital sander with a dust bag attachment will save time on cleanup. For smaller areas like trim, a palm or trim sander can be used. This sander may be called detail sander in your area. Ideally, your goal is to only have to use sandpaper manually on very few areas. You will find it’s easy to hand sand over an already smoothed with a power sander. More labor-intensive hand tools such as a sanding block is a necessary part of every job because many tight spots simply cannot be reached with power tools. Sanding blocks will be needed for hand-sanding. These can be as simple as blocks of wood with sandpaper wrapped around, though a trip to the hardware store will yield something a bit more sophisticated. There are blocks with handles and a mechanism for locking the sandpaper in place. And there are rubber blocks that are ergonomically comfortable in the hand that don’t require any mechanical parts. 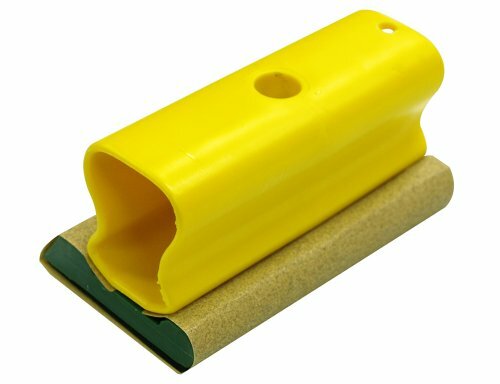 Pole sanders – a hand-sander attached to the end of a broom handle – is a time-saving manual option for walls where there are no tight spots. 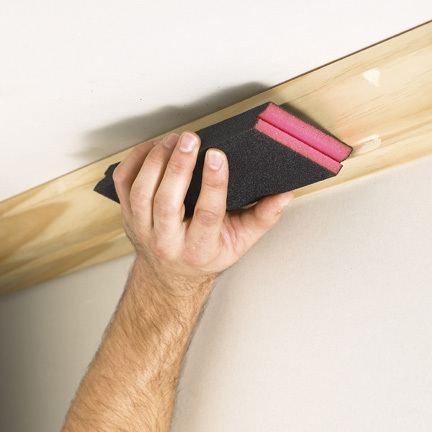 One “tool” sometimes overlooked for sanding and other jobs involving walls is a step-ladder. Working with step ladder that is tall enough improves safety, and it can make it easier to reach high places a pole sander can’t fit into. And don’t forget to use drop-cloths. Even careful painters know that sawdust and paint has a way of getting on just about everything. You definitely should have drop cloths protecting your floor and other things in the room during the sanding stage. The grit from sanding can ruin finishes and discolor carpets and fabrics. The pros usually use a good washable canvas cloth with a butyl PVC backing. Lightweight plastic is best over furniture that cannot be removed. For floors and exteriors, plastic is too lightweight and vulnerable to cuts and punctures. If your painting budget is very limited, you can use plastic or paper drop cloth. Just recognize that you may need more drop cloths to ensure undamaged coverage.